Available to overnight guests, visitors staying nearby & local residents. Prices below do not include tax or gratuity. For outcall appointments, add $5 per treatment. $80/60 min. and $110/90 min. Dave has treated thousands of clients with this highly-effective modality for treating pain, physical imbalance and a variety of soft tissue dysfunctions. Included are a combination of techniques that release restrictions and restore normal tone to rigid muscles and connective tissue, often utilizing muscle lengthening or unwinding of tissues to re-educate the patterns that have gone awry. Each session can emphasize either a specific area of the body or a particular condition and may include myofascial release, neuromuscular therapy and “homework” exercises to help you to keep going in the right direction. The foundation for this treatment comes from Somatic Release in Clinical Massage and Shiatsu therapy. A few conditions that respond well to this treatment include: Chronic neck and shoulder pain and/or restriction; whiplash; headaches; sciatica; thoracic outlet syndrome; back pain, numbness and tingling in the arms. * If you have a prescription for this treatment, please bring it with you to your appointment. This comprehensive (and relaxing) treatment addresses the structural, physiological and psychological discomforts of pregnancy with an emphasis on getting the mother-to-be comfortable on the table. The treatment time can be used simply for rejuvenation or more specifically to treat common challenges for the pregnant woman, including fatigue, sciatic and carpal tunnel-like pain, low-back and hip issues. Therapists are certified in pregnancy massage therapy. Wow. Your feet are going to be happy, and the rest of you will be just as content too. This one-of-a-kind treatment starts with Shiatsu and Reflexology to wake up your feet and gets your toes singing with delight. Next, you’ll receive a relaxing Swedish foot massage using Grateful Body’s Midnight Oil, a decadently healthy blend of nutrient-rich plant medicinals that have an almost other-worldly-good aroma. An exfoliating, organic brown sugar foot scrub with coconut cream oil is your final ticket to “becoming one” with the massage table. It includes steamy towels to cleanse your newly-softened feet and removes that last layer of stress too. To help drop all the stress, we also treat the back to a massage and moist heat packs. Enjoy. 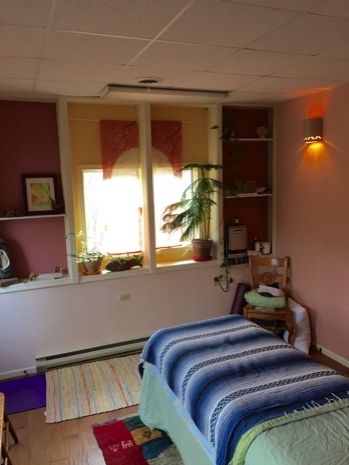 Dave has been practicing massage and bodywork in Millersburg since 1997, serving locals and visitors to the area. Our staff of experienced massage therapists are the best in the area, and all are passionate about the work that they do. Dave is a Licensed Massage Therapist, a Certified Breema Bodywork Instructor and Practitioner, and a yoga teacher. He has had a life-long interest in meditation and Consciousness studies, and was a student of Tim McCarthy of the Kent Zendo for about a decade. David holds advanced certifications in Somatic Release in Clinical Massage, Bodywork for The Childbearing Year. He has helped thousands of clients to reach greater levels of harmony and balance in their lives. 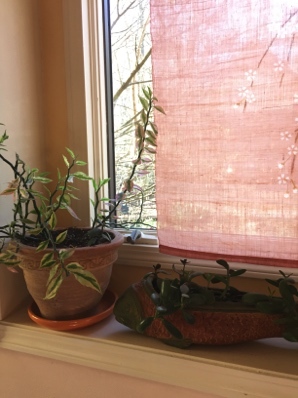 Since beginning to study massage and bodywork, Dave has also received training in and practices Craniosacral Therapy, Polarity, Shiatsu, and Reflexology. He also likes to write poetry and articles on massage and wellness, with close to 200 published articles.